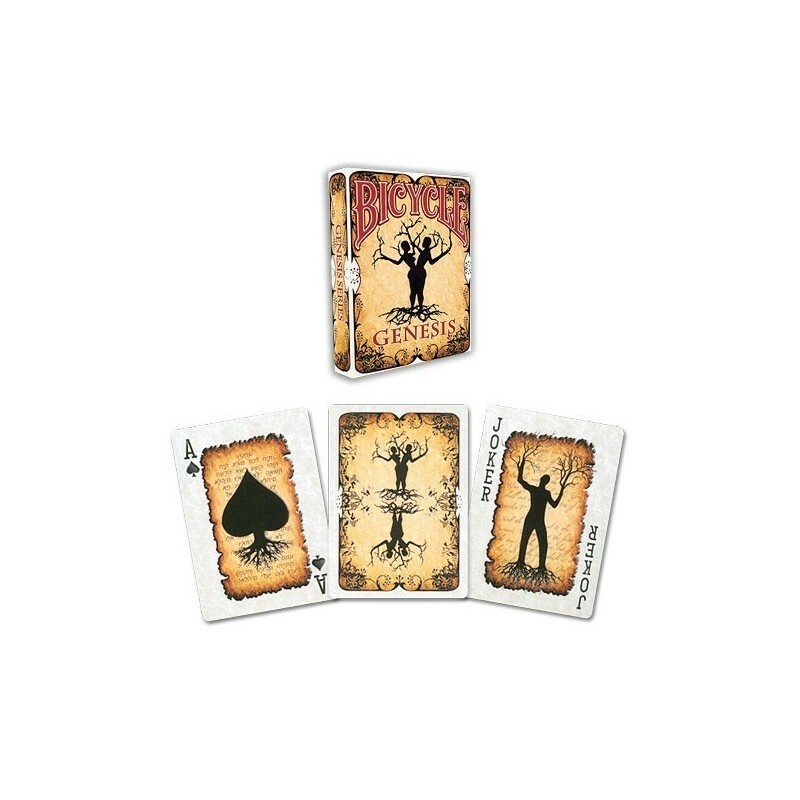 Directly inspired by the first book of the Bible, these cards start from Adam and Eve and from the forbidden fruit being picked. 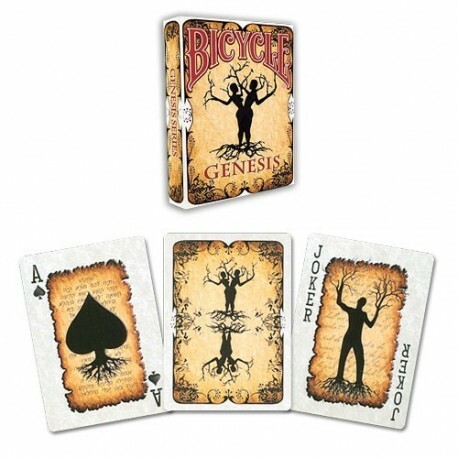 The deck of cards is really striking, it has 3 different jokers and 54 cards with specially redesigned indexes. The backs of the cards show Adam and Eve connected to each other by roots. • Designed by Design TPX Noel Quiles.